A series of disturbances has been moving through the region since Sunday night, but precipitation will continue to be spotty at most through Wednesday. 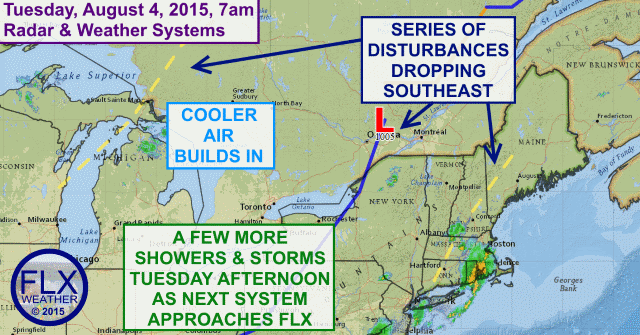 A parade of weak weather systems has been marching through the Great Lakes and New England. These systems are generally not overly impressive and have only been able to produce scattered to isolated showers and thunderstorms. We will have to deal with a couple more of these disturbances today and Wednesday, but even as they pass by, many areas will see little to no rain. The best chance for rain will probably be this afternoon as a disturbance passes by during the prime heating of the day. Showers and a couple of non-severe thunderstorms will bubble up before heading east by the evening. 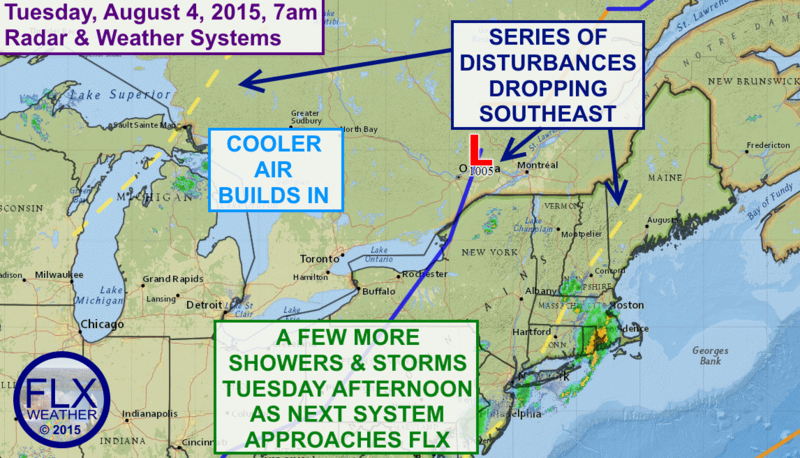 Another disturbances will pass through Wednesday morning with just a couple isolated showers. As these systems move through, they will reinforce some slightly below average temperatures. Highs will generally be in the low to perhaps mid 70s through Thursday. A slight rise in temperatures towards the mid and maybe upper 70s should move in for Friday.